Access to safe water is essential to life and public health of human. Nearly, 884 million people about one-sixth of the world’s populations are consuming contaminated water. In this study, the occurrence and the molecular characterization of enteric viruses particularly; enteric adenovirus, rotavirus and free-living protozoan Acanthamoeba spp. were determined in 180 tap water samples collected from five Egyptian governorates during December 2016 to November 2017. Moreover, we aimed to verify whether these isolated Acanthamoeba spp. could play a role in transmission of enteric adenovirusand rotavirus. Multiplex semi-nested RT-PCR, PCR and sequencing were used to detect and genotype rotavirus, enteric adenovirus and Acanthamoeba. Based on the sequence analysis of the Diagnostic Fragment 3 (DF3) of small subunit rRNA gene, Acanthamoeba isolates were genotyped. The present study showed that 26.7% (48/180) of tap water samples were positive for Acanthamoeba spp. 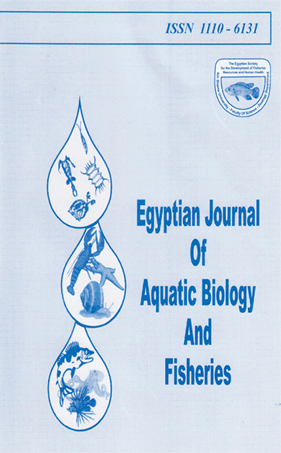 The highest occurrence rate of Acanthamoeba (36.1%) was detected in tap water samples collected from Faiyum governorate. On the other hand, viral genomes were detected in 44 samples. Rotavirusand enteric adenoviruswere observed in 15.6% (28/180) and 8.9% (16/180) of samples, respectively. Qalyubia and Faiyum governorates showed high level of viral contamination up to 50% (18/36) and 47.2% (17/36), respectively. Winter was the peak season for viral and Acanthamoeba contamination in tap water. Mixed contamination between at least one virus and Acanthamoeba was observed. Acanthamoeba lenticulata, Acanthamoeba T4, rotavirusG1P , and human enteric adenovirus41 were the most predominant types identified during this work. The prevalence of pathogenic Acanthamoeba genotypes, especially genotype T4 and enteric viruses (rotavirusand adenovirus) in the examined tap water samples presented health hazards to consumers.